Jay Nicholas shows how to tie a trout fly on a tube – featuring a Clark’s Stone, originated by Lee Clark and proved effective wherever golden stoneflies are on the trout menu. This fly style is very effective fished in lakes and many rivers and is often tied on a long shank hook. As a dry fly, it seems like this little tube should float well and be easier on the little fish we sometimes encounter when fishing the stonefly hatch on our local waters. 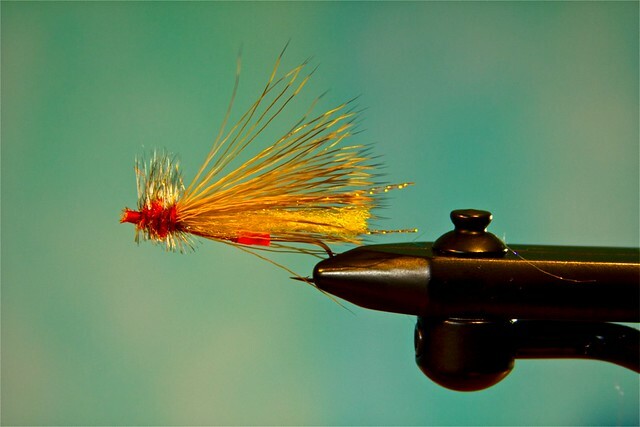 Jay discusses the reasons for giving this traditional fly a try on a tube as a break from our usual style. In addition to being easy on the fish, the fly should last a little longer, we hope, because it should slide up the leader and be away from the sharp fish teeth. Tying tube flies for trout is new to us, but we are having fun experimenting. It seems like some patterns will be more effective on tubes but some other patterns should be kept to the traditional hook shanks. We guess that time will tell the story. Jay, Another good show!! Given the size of fish i have been catching off the beaches, maybe i should try this system. All the best.